Participants in the Gaborone Declaration Kenya roadshow listen intently to opening presentations. Botswana’s Botshabelo Othutsitse, Acting Director of Department of Environmental Affairs, discusses the importance of environmental management in Africa’s future growth at the Kenya roadshow. 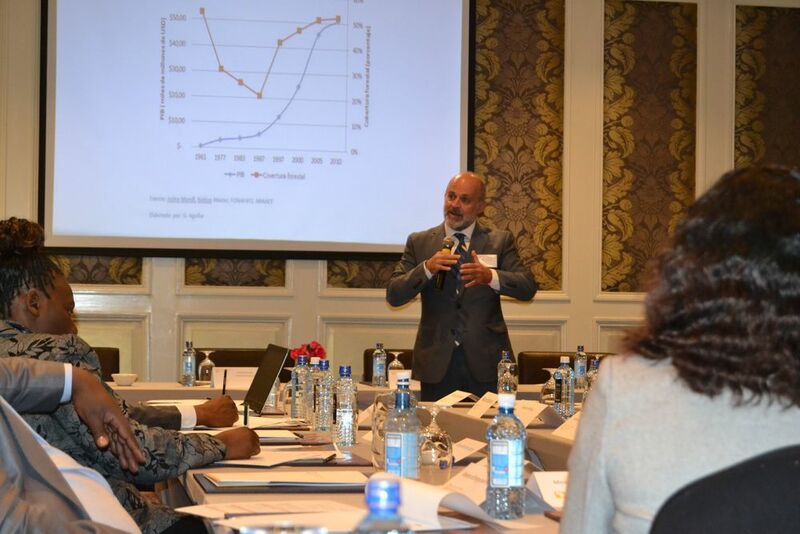 CI’s Carlos Manuel Rodriguez, Vice President and Senior Advisor, Global Policy, shares lessons learned in Costa Rica’s sustainable development and discusses the Sustainable Development Goals at the Kenya roadshow. Participants of the Gaborone Declaration Kenya roadshow pose for a photo at the Villa Rosa Kampinski. Participants at the Gaborone Declaration roadshow in Dar Es Salaam, Tanzania. Botswana’s Botshabelo Othutsitse, Acting Director DEA, Honorable Samia Suluhu Hassan, Minister of State, Vice President’s Office Union Affairs, Tanzania and CI’s Carlos Manuel Rodriguez, Vice President and Senior Advisor, Global Policy, lead a plenary at the Gaborone Declaration’s Tanzania roadshow. 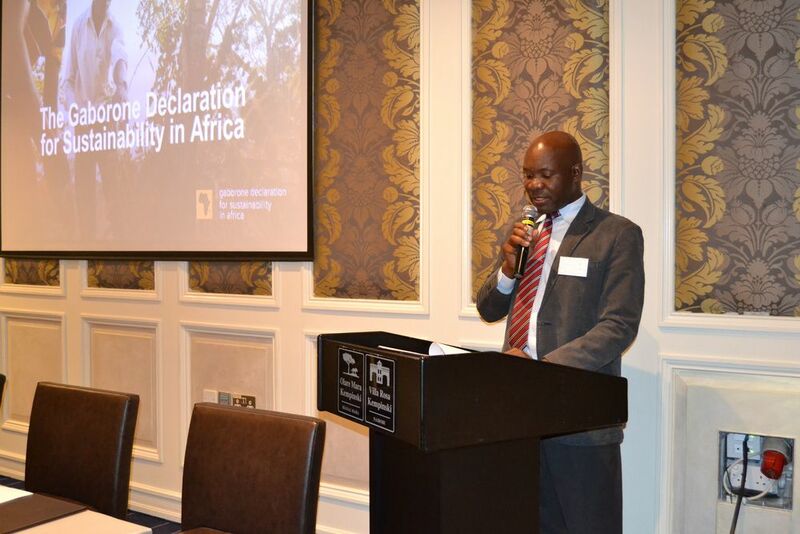 The Gaborone Declaration Secretariat, together with Conservation International and the Government of Botswana, completed roadshow events in Kenya and Tanzania on June 23rd and June 25th, 2015 respectively. The roadshow meetings served to ground truth baseline information gathered on current national initiatives which align with Gaborone Declaration outcomes. 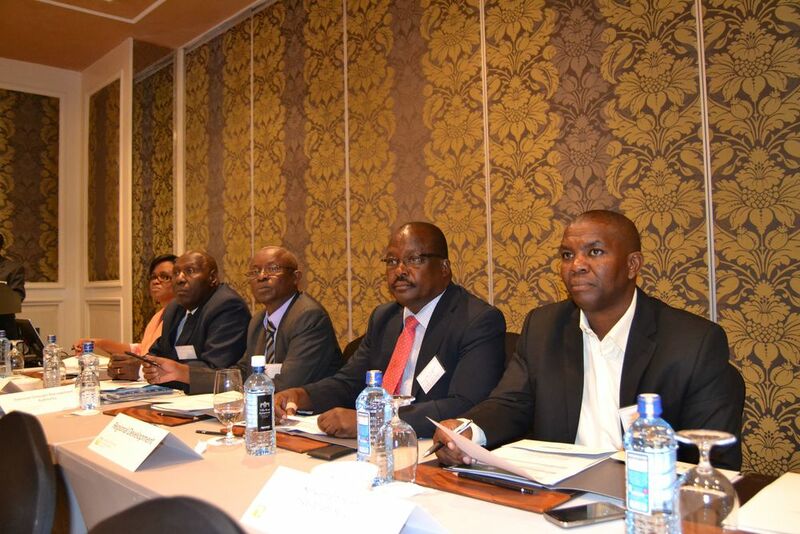 The Kenyan roadshow, held in Villa Rosa Kempenski Hotel in Nairobi, brought together heads of state and professionals from various Kenyan government departments and conservation agencies, including the Ministry of Environment Wildlife and Natural Resources, Kenya Forest Services and Kenya Wildlife Services, to assist in defining country priorities. The meeting was opened by Mr. Richard Mwendandu, Director of Multilateral Environment Agreements, who read a statement from the Cabinet Secretary for Environment, Water and Natural Resources emphasizing the importance Africa’s ecosystem services play in the continent’s economy and the development opportunities they provide for the people. National priorities were discussed in capacity building for natural capital accounting, sustainable land use management and natural resource management, as well as focusing on the country’s already existing 2009 Atlas of Changing Environment. 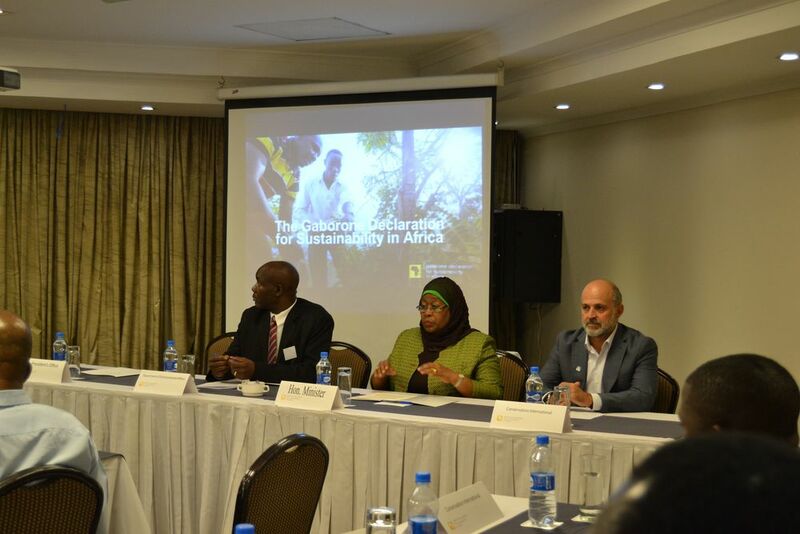 In Tanzania, the roadshow event convened at the Sea Cliff Hotel in Dar Es Salaam. 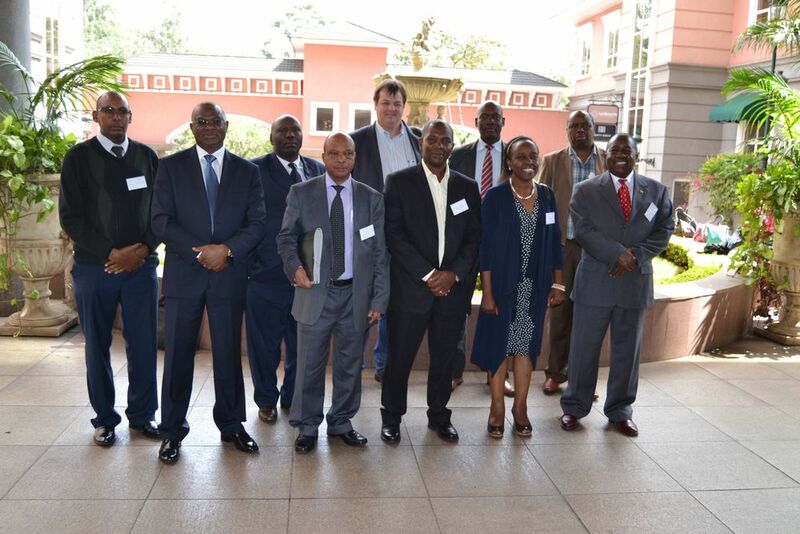 With participants from the Vice President’s Office, Ministry of Energy and Minerals, and Ministry of Natural Resources and Tourism, among others, roadshow participants deliberated priorities for Tanzania’s involvement in the Gaborone Declaration. The ceremony commenced with an opening statement by the Honorable Samia Suluhu Hassan, Minister of State, Vice President’s Office Union Affairs. The Honorable Hassan underscored the importance of peaceful co-existence between humans and nature. She also emphasized the importance of the Gaborone Declaration Secretariat in supporting Tanzania in its efforts to realize sustainable development. Ongoing work in Tanzania which compliments the Gaborone Declaration’s outcomes was highlighted. The mainstreaming of climate change and the environment into national strategies has contributed to the considerable progress made toward sustainable development in the country. Existing tools were discussed that could contribute to natural capital accounting and environmental-economic monitoring, such as Environmental Impact Assessments and the Monitoring Bureau for Big Results. While capacity building in natural capital accounting was emphasized, participants concluded more internal consultation was needed to identify priorities.